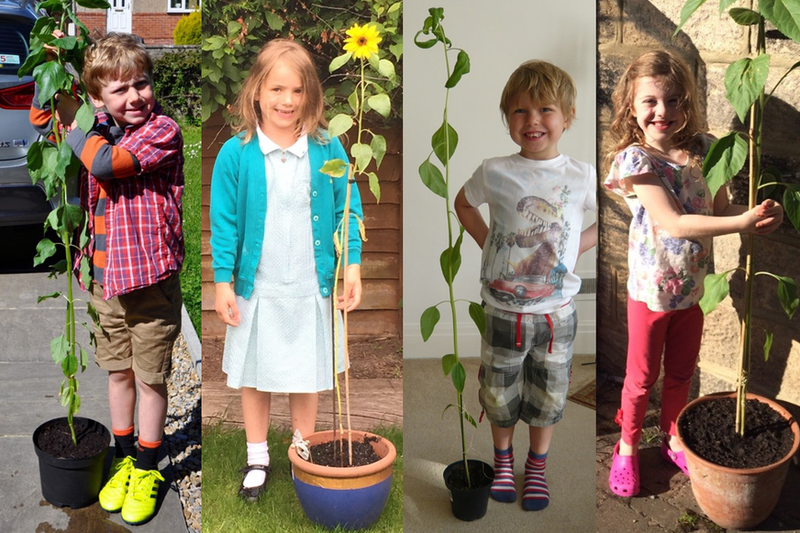 Please find below the results from the first annual Oatlands Infant School Big Sunflower Competition. In reverse order… 3rd place goes to Mitchell Knight – Ducklings – 137cm. Joint 2nd place goes to Joey Fell – Owls and Alfie Bray – Red Kites at 155cm each and the 1st place winner – Alfie Simpson – Ducklings – a whopping 195 cm! Mrs Robson will present Alfie with his prize next week, well done.